Ahead of Passover, which begins on Friday April 22, a re-enactment of the Passover sacrifice will be held near the Temple Mount next week. Residents from all over Israel will participate in the event, according to Arutz Sheva. Individuals attending this year’s event include Jerusalem’s Chief Rabbi Aryeh Shtern, and Knesset member and Jerusalem Deputy Mayor Dov Kalmanovitch. The event will open with a rabbinic round table discussion about whether or not the Temple service should be renewed. Torah classes by Rabbis Menachem Borstein, Uri Shreki, Menachem Makover, Benayahu Bruner, and Rabbi Yitzhak Yavetz, a graduate of the Ponivitch Yeshiva, will also take place. 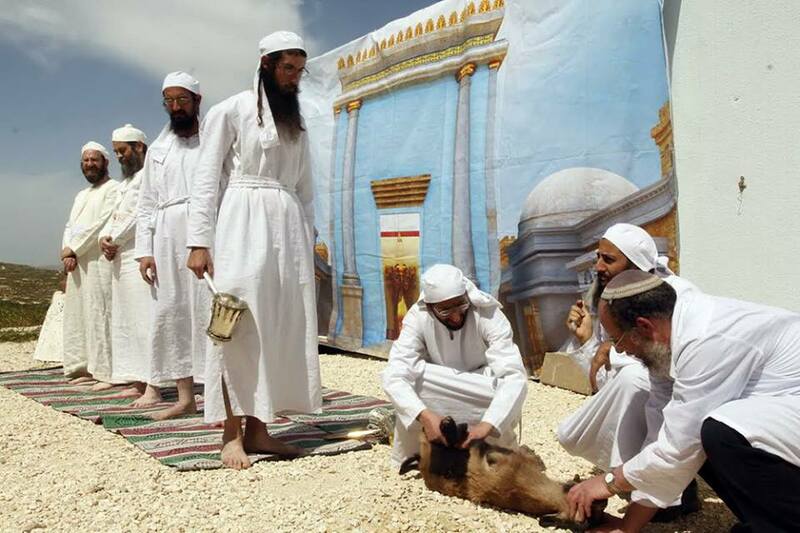 A live lamb will be slaughtered on a model altar by Kohanim (members of the high priestly caste) dressed in the priestly garments worn in biblical times. Hallel will be sung by Mordechai Yitzhar and his band with silver trumpets of the kind used in the actual Temple service. The commandment to offer the Pesach sacrifice derives from the verse in the book of Exodus (Shemos), which states that “You shall take of the lambs or of the kids a male in its first year and guard it until the 14th of this month, and all the congregation of Israel shall slaughter it in the afternoon,” according to Torah.org.